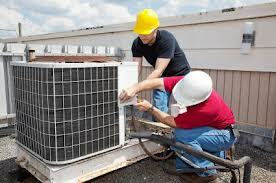 Maintain your HVAC equipment. It almost sounds too good to be true, but it’s not! Tune-ups are so important. Like furnaces, air conditioners and heat pumps, according to tests and efficiency-verification processes designed to outline a product’s useful service life. Homeowners can often extend, or at least adhere to, these estimations simply by scheduling annual preventive maintenance. A tune-up allows the technician to remove dirt buildup from within the HVAC system. Whether you are using a heat pump, furnace or central air conditioner (the most common types of home systems in the greater Phoenix area), dirt that builds up inside of the equipment can lead to serious problems. When dirt rests on the air handler’s fan blades, it can create an imbalance, leading to increased energy use and poor air delivery. A tune-up gives the HVAC technician the opportunity to replace worn parts before wear and tear cause a complete system breakdown. Worn belts and low lubrication lead to wear and tear within the motor. Replacing worn components early on can prevent system failure, as well as ensuring efficient system operation. Keeping your air filters clean. They provide cleaner air for you to breathe in your home. Cleaning the indoor coil of your AC system is not part of normal maintenance and can be expensive. This entry was posted in Gilbert Air Conditioning Repair, HVAC and tagged furnace, heat pump, HVAC Technician, HVAC troubleshooting, tune-up. Bookmark the permalink.